Families looking for Kentucky colleges should start at the Kentucky Higher Education Assistance Authority (KHEAA). It has the general features of a state sponsored college planning website including planning timelines starting for seventh grade. It provides a basic overview of admission options and commonly used criteria and requirements. Users can sign up for monthly newsletters which are archived on the website. There is also a link to KHEAA Kentucky College Access for your smart phone. The website offers a basic college search tool for Kentucky schools only. If you create an account, you can save school information for comparisons. It includes information on Kentucky College Application week and a link to KYTranscript.org where users can request their high school transcript to be sent to colleges. Users can find out information on state specific financial aid programs such as the College Access Program Grant and the Kentucky Educational Excellence Scholarship. There is also a collection of videos on planning and paying for college. Students planning on starting out at a community college should visit the KnowHow2GoKY website. The website provides information on which courses transfer from community colleges to public four-year institutions. It also links to transfer information at the Kentucky Community & Technical College System. 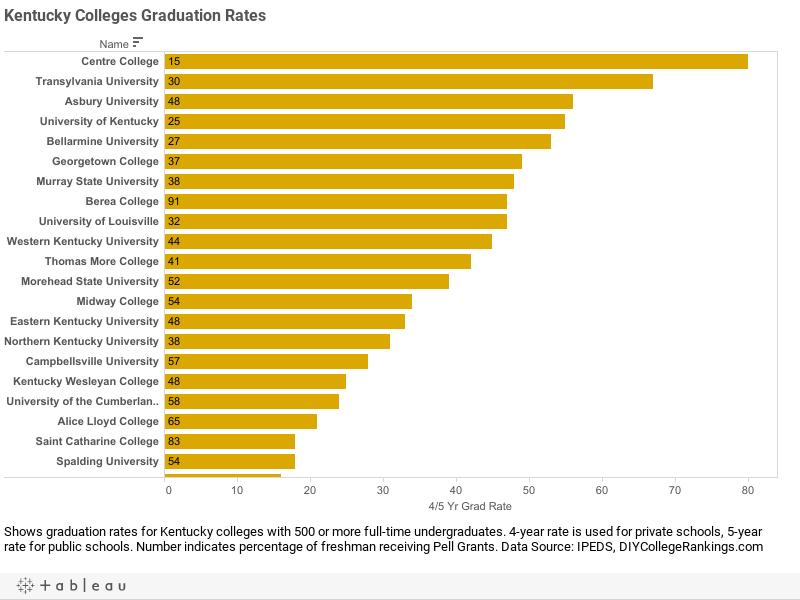 There are 27 four-year Kentucky colleges with 500 or more full-time undergraduates according to the Integrated Post-secondary Education Data System. Approximately 22 percent of students attend one of the 19 private colleges while 78 percent of students attend one of the eight state institutions. The private colleges have an average four-year graduation rate of 33.2% and the public universities have an average five-year graduation rate of 39.1%. 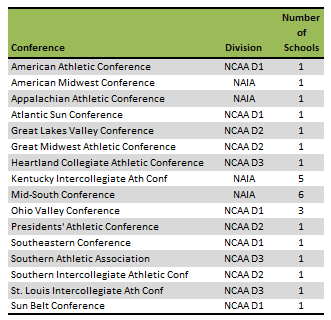 Six schools meet the DIY College Rankings 50-50 profile requirements. College-bound seniors in Kentucky had an average of 19.9 ACT Composite score with a 19.4 for English and 19.4 for Math. The 75th Percentile scores were a Composite of 23, 24 for English, and 23 for Math. A total of 22 colleges ACT 75th% Composite scores were at or above this level.